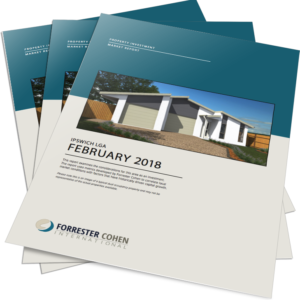 The Australian Residential Property Report for 2018. Most experts look in the rear vision mirror to try to predict the future of house prices. Looking at historic trends and data points in isolation won’t provide reliable predictions. We want to know what’s going to disrupt the trend and promote growth. What we need, is to broaden the base of economic drivers so that we know what is going to change the trend. This report uncovers the facts behind the news stories to provide insights for those wanting an alternative perspective that will help investors make better decisions. You can get it below by clicking the link below. Nationally, availability of finance is the tightest it has been for many years. Policy changes have restricted investors’ access to money. This has occurred in three ways, firstly through the amount of money they can borrow, secondly through assumed serviceability limitations and thirdly through restricted access to interest only loans. Owner occupiers, on the other hand, have no restrictions to on their access to funds. If we put this into perspective investors represent about half the value of funds being borrowed according to the ABS. 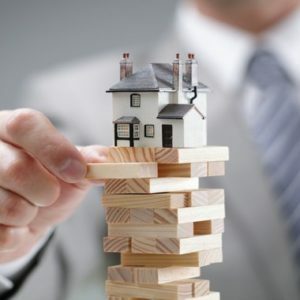 Regulators are trying to make sure that investors do not compete with owner occupiers by forcing banks to increases their loan to value ratios (LVR) for investors. This means the investor is going to have to find a larger deposit to invest. Lastly access to interest only loans has changed. This change in policy required the banks to restrict their interest only lending to 30% of new loans however most have made this historical as well. This has created huge turmoil in the sector. In addition, national taxation laws for depreciation benefits have changed. New properties attract taxation benefits for the costs of the actual building and for the fixtures and fittings such as kitchens, bathrooms, carpets and lighting. However, those buying existing property can only claim the building depreciation, not any of the fixtures and fittings amounts unless they have changed these things personally through renovation. This supports investors buying new property, doing renovation or buying in higher risk regional areas with higher returns. However, most investors make more money from capital growth than cash flow so regional properties are not as appealing. Regional cities have other risk factors with property cycles being either on or off giving much less discretion for selling at will. They also have more volatile prices. State based NSW stamp duty will double from 4% to 8% on 1st July 2018, for foreign buyers. This is above Victoria’s 7% but below some Canadian provinces with 15% fees. In NSW this cost for a $1M purchases rises from $40,000 to $80,000. Land tax rises are also rising from 0.75% to 2%pa. If your land is valued at $600,000 then this cost rises from $4,500 to $12,000pa. Rental Managers are often undervalued assets in the management of your rental property. Your Rental Manager needs to evaluate your tenants for their willingness to care for the property and pay the rent on time. This is an evaluation of character. We have had an onsite Rental Manager who had a quarterly dinner for the tenants. This made a stronger community who were better able to enjoy the amenities. It also put pressure on antisocial behaviour: like parking for too long in the visitor spots. She actually had a list of tenants wanting to move into the complex and could charge premium rents. On the other side, Rental Managers have been sufficiently impressed by tenants to recommend them; and then it has been discovered they used false names and skipped out before the end of the lease owning money. Your rental manager needs to have the strength of character to have some tough conversations with tenants should they fail to pay their rent or to keep the property well. We have seen a diminutive female Rental Manager insist the burly male tenant find the right cleaning product to clean the carpet right then and there during a routine inspection. The conversation was delivered with humour to the job get done and maintain the relationship. For over due rent we have also landlord’s insurance and need our rental manager to be squeaky clean on their rental management processes or our policy is invalid. Your rental manager needs to have some tough conversations with you if you fail to approve repairs in a timely manner or neglect the maintenance of the property. Have respect for your tenants and keep your property to a standard of repair that meets your rental expectations. If it is a corporate rental that may mean 24hour emergency support. If it is a basic property that may mean everything works and it is clean. If you want more rent, speak to your Rental Manager. It might be that a cost-effective investment can increase the appeal of your property. Your rental manager sits in the middle of two relationships, between you and the tenant. You give them the ability to earn a weekly income through your rental management agreement. They are appreciative of this however often their attention to your needs can fade over time, there simply may not be time to care for you. It can also fade if you fail to maintain your property as it is harder to rent and takes more time than they have to spend. The tenant actually gives them their weekly income through the rent, without this they don’t have a business. This makes some focus more closely on tenant care as the priority. It is natural they like one party more than the other. Their business experience helps them to manage both parties well. You can help too by doing your bit for the relationship. Your rental manager has a responsibility to provide expert feedback on the state of your property. If it is an older property this can be to identify insidious problems like dry rot; or plumbing and electrical problems. The key is to find and repair these issues before any damage is caused. If it is a new strata titled property this can be anti-social behaviour overuse of the shared amenities that upsets your tenants. If it is consistent it can even earn the building a bad name. One local agent consistently rented two bedroom apartments to families of six. The body corporate was able to assist in communicating with the owners involved and gaining their support to change rental managers. Choose your Rental Manager carefully as they are a key part of your success in maintaining the value, the appeal and the presentation of your property. Negative gearing has been in the spot light as part of the Government’s “Australia’s Future Tax System” review. This controversial discussion rears its head every few years when the two sides clash: one claiming it disadvantages first home buyers, the other saying it provides vital rental housing. What is negative gearing and what benefits does it provide to tenants, investors and the Government? Negative gearing is the situation where a rental property costs more to own than it generates in rental income. Being able to claim a deduction on the expenses for investing is a well-established principle for business both in Australia and internationally. However, some investors target their borrowing to maximise these taxation benefits so they can offset the losses incurred in the investment against their personal effort income taxation. This is particularly true for those with a deposit created by an equity release that effectively creates 100% borrowed funds for the purchase. It can also occur in a rental market where interest rates are higher than gross rental yields. These conditions currently exist in much of Melbourne, Sydney and many other capital cities. What are the benefits for renters? About 35% of Australians live in rental accommodation. Most of these people rely on being able to find affordable accommodation near to their place of employment. When employment centres shift, such as we have just seen with the end of the mining boom, employees need to be able to respond and move to new employment centres. Those arguing that first home buyers are disadvantaged are forgetting that decreasing the number of rental properties through the removal of negative gearing benefits would drive rents up and those on the lowest incomes would be most disadvantaged. They would potentially be driven out of the larger cities. Many of these people provide vital services as minimum wage employees in sectors such as retail, food and hospitality, clerical and home services. Imagine the impact on Australia’s GDP and productivity if there were jobs in areas with no affordable accommodation? Imagine the impact on us if our service sector suddenly had to pay higher wages for employees? Most multiple property investors have stated they are seeking to create wealth to support their retirement living. Buying a portfolio of property, selling half to pay back the debt and living on the income is a sound strategy. The Government has a huge looming issue to fund future retirees via the pension. It was reported recently that we should expect the pension to become means tested, and for it to shrink in spending power over time. Additionally once the baby boomer generation retires the number of workers per retiree also drops dramatically increasing the taxation burden on future generations. Self funded retirees are not relying on the Government handouts. What are the benefits to the Government? The Government has a responsibility to provide affordable housing in Australia and have done so in the past through owning large social housing projects. More recently through the NRAS scheme; the scheme that gave an incentive for investors to provide the capital for this housing and offered a additional taxation benefit in return. This project has since been retired, and so the question will be ‘How will the Government support low income earners with affordable rental accommodation?’ Clearly investment housing is an important part of this equation and the trend for Self Manage Super Funds to invest in residential housing provides a solution to accommodation and wealth creation. Superannuation is one sector that is now valued at about A$1.8Tr and is seeking good returns in low risk investments. The benefits to tenants and investors are significant however it is the benefits to the Government that are greatest. Being able to attract and retain international investment and businesses, and grow Australia’s GDP are key responsibilities. Having a flexible work force that can move about the country, as employment requires is vital, and reducing the demands on the public purse through more self funded retirees takes away a very significant unfunded cost. Being free to engage in public, private partnerships to deliver new housing solutions gives the Government more flexibility on how it spends its income. It is wise choices here that will dictate the future wealth of Australians. The Human Habitat III Conference. “Implementing the New Urban Agenda” – Sydney to Newcastle High Speed Rail: A Value Capture Model. By 2050 more than 70% of the people on the planet are forecast to live in cities, compared to about 50% currently. This creates a significant need to appreciate the qualities and characteristics of successful communities to enable planners to create new cities that support their human inhabitants thriving. On October 2016, in Quito, Ecuador, the 3rd United Nations Conference on housing and sustainable urban development known as Habitat III, was held. Of interest to us was the enshrining of the “Right to City” calling on Governments to make cities for people rather than profit. This needs to ensure inclusion for all including: gender and age sensitive approach to city planning, as well as continuing efforts to reduce urban poverty. On 4th and 5th May 2017 the next chapter of The New Urban Agenda is taking place in Melbourne , at the Implementing The New Urban Agenda Conference. I quote section 31 of the NUA which is a passionate plea to support social equality in the plan. Through my network, I have been invited to present at “Implementing the New Urban Agenda” conference in Melbourne on the 4th and 5th May 2017: Title: “The Sydney to Newcastle High Speed Rail Link: A Value Capture Model”. This project seeks to address a number of these considerations and there are some examples below. • Offer $600,000 prices for two bedroom apartments that are 15min to 35min travel from Central Station in Sydney. • Support First Home Buyers and Owner Occupiers with a discounted HSR fare of $60 per week. The same as the current fares for regular rail travel. • Provide a fractional ownership structure for purchase in conjunction with Domacom’s fractional ownership platform. • Provide up to 100,000 new social dwellings, on Government provided land, for the low income and disadvantaged members of the community. The number is dependent on the taxation treatment of gifting these properties to social housing groups. Using city waste as a biofuel to generate power for HSR and the Smart Cities. Using safe and strong recycled materials, as appropriate, in the 140Km tunnel and smart city construction. • Establish community centres celebrating and integrating ethnicity. • Establish educational centres from primary school through to university as part of technology incubators. The purpose of this is to prepare students for work and to foster innovation. • Providing innovative property investment products that create a separate market for property investors, so they are not competing with home owners. Disabled housing facilities, and multiple occupancy dwelling. The funding model is ‘value capture’ where profits from the development of Smart Cities are used to create the HSR infrastructure, environmental initiatives, social housing and green living. 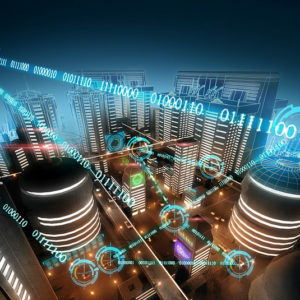 Connect with me on LinkedIn and join the High-Speed Rail and Smart City LinkedIn Group to contribute your professional comments to this important project. The New Urban Agenda: New Highways Promote Traffic Congestion! The forecast is that 70% of the people on the planet will be living in urban cities by 2050. This is not about the historic shift in the industrial revolution where masses of people moved to the new cities to earn a living. Most of these people have no jobs. They are fleeing repeated natural disasters on their farming lands. Sandy immigrated to Australia as an executive in the finance sector, George was an IT professional. They had a bright future together. They planned to marry at the end of the year and hoped to buy their own home in Sydney. Is rentvesting and option for them? However, an OK two-bed apartment without a view would cost about $1M. They needed a whopping $900,000 loan. The repayment figures were overwhelming. They needed to pay $45,000 to meet interest costs each year plus $30,000 to make the loan repayments. They actually needed $75,000 each year for 30 years assuming the interest rates remained exactly the same. The killer was that by the time they made their final repayment they would be 70 years of age. And then it hit them that they would actually need to pay it off sooner if they wanted to retire at 65. 1. Could they buy an investment property to the value of $1M and have the tenants pay to hold it while it increased in value? 2. Could they use the money created to buy their own home that they liked in the future? Yes, we knew we could provide them with a great opportunity. We designed, and documented, a personal investment strategy around two dual occupancy properties in QLD. ● Were in the rising phase of the property cycle. Sandy and George are currently on track to double their money in 15 years. With increasing strength in the local economic drivers, they could do this in less time. Having invested in property and seen the results they have achieved. They are now saving for another deposit to purchase a third property. Does rentvesting sound like a solution for you? If you’re ready to get started now, then click here to book a complimentary 1-on-1 planning call about this strategy. You’ll speak to a member of our expert advisors’ team and talk about how you can experience your own breakthrough with this strategy. Exit Strategy Optimisation: Current capital growth 3-5%. Increasing demand, above average population growth forecast for 15+ years. One property could be strata titled immediately. Conservatively estimated at $88,000 1. Holding Strategy Optimisation: Gross rental returns of 6.5%. With the additional capacity to meet future increases in interest rates. Entry Strategy Optimisation: Two areas chosen for diversity of economic drivers. This reduced the risk and increases options if they needed to sell at any point. Estimated $220 pw in additional income from the rent or $11,400pa. Estimated $30,000 in depreciation in first year, giving $9,750 as a tax return. Total of $21,150 in first year. This additional income can support repayment of the loans. Actual rental cost of $34,000 pa compared to required $75,000 pa if they had bought their own home. This gives them discretion on an additional $41,000pa after tax. Much of this can be directed to paying down their mortgages, saving for a new home, or the deposit for another investment property. Capital Growth: Capital growth is the increase in value of the property. It is not evenly distributed over the property cycle. Different areas rise and fall at different rates. The investment property suburbs had an average capital growth rate of 6% in the last 12 months and so did their target suburb for their future home. Total: They have an additional $21,000 to direct to future investments; and, discretion in spending or investing over $41,000 in after tax income. They have a capital uplift that can be realised at their exit strategy by strata titling one property. Plus their investment properties and their ideal home suburb tracked at the same rate of capital growth over the last 12 months. 1: Assumption about the increase in value is conservative. The median price of existing properties in this suburb was $280,000 in November 2014. We have simply assumed the market value of the strata titled properties as 2 x $280,000 = $560,000. They paid $462,000 and had strata costs of $10,000. This realises $88,000. In reality, new properties are selling for more. Typical new 3 bedroom properties were priced at about $427,000 on similar sized land to half their block. It is very likely their properties were worth more than $280,000 for the 3-bed side and maybe about this price for the 2-bed side. This would create additional profit. 2: This illustration is a compilation of the investment portfolios of several clients and is provided to demonstrate the pathways these couples have taken to arrive at their destination through renting and investing.